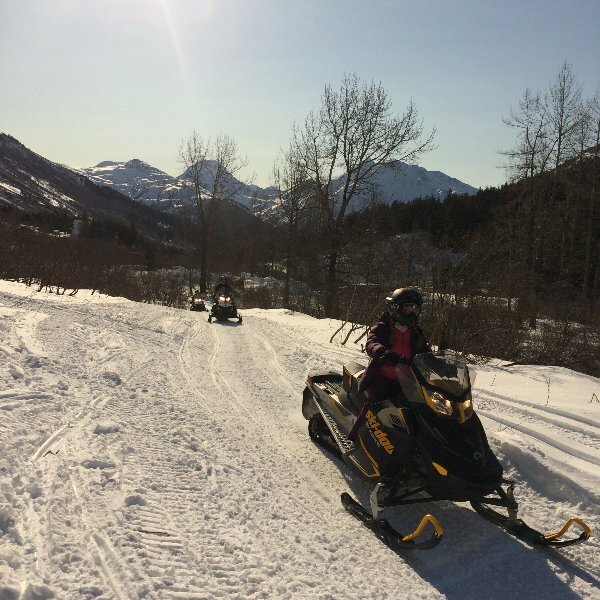 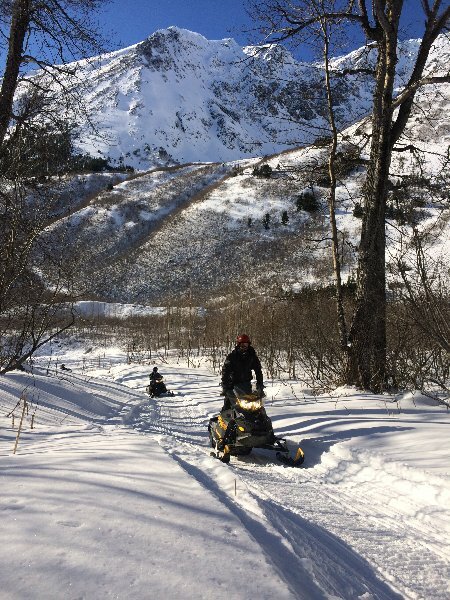 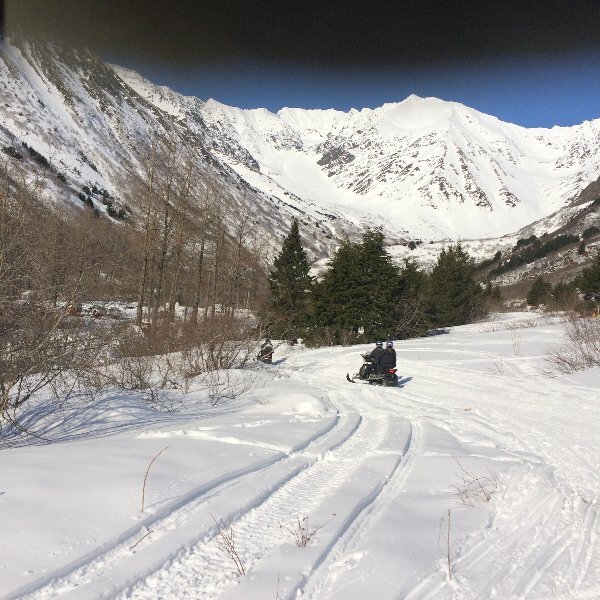 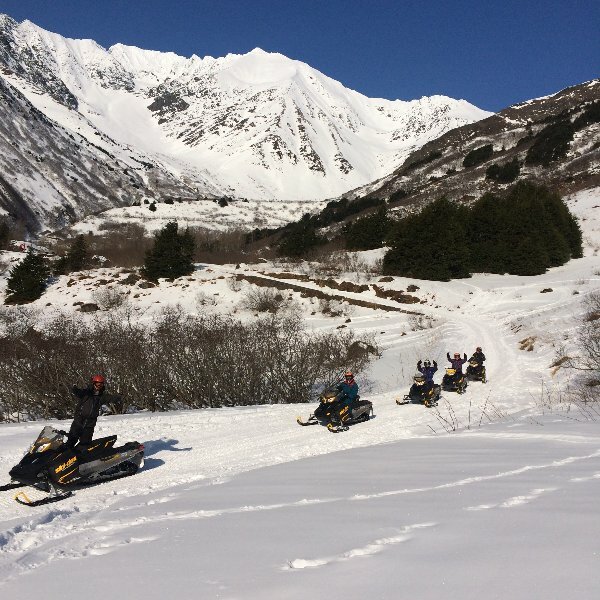 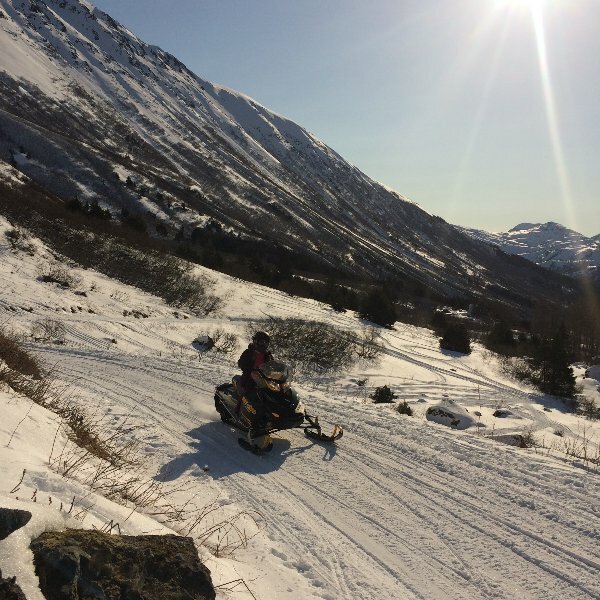 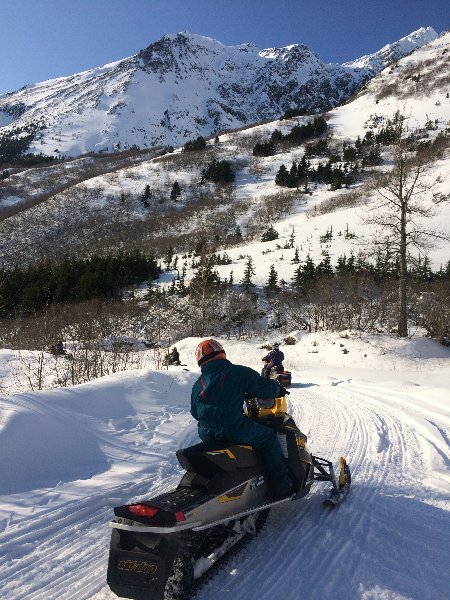 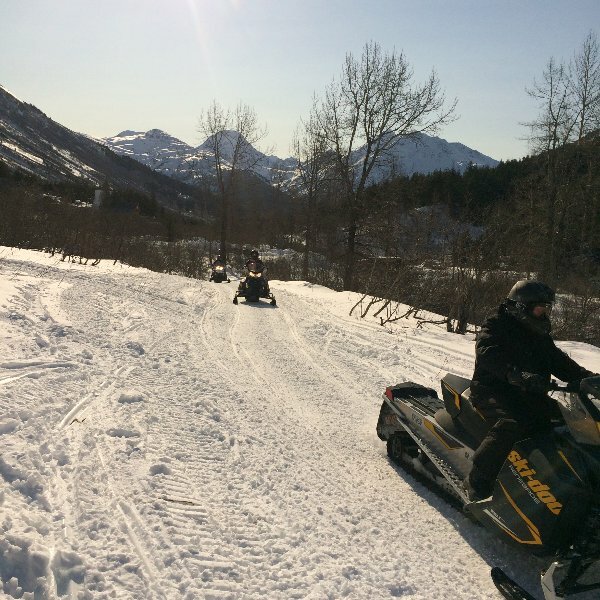 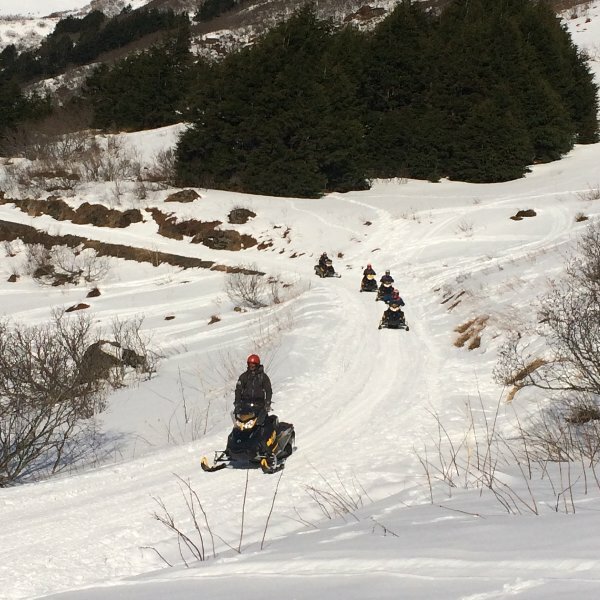 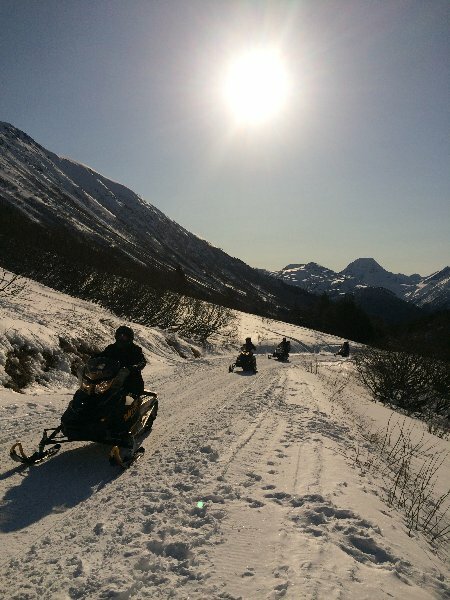 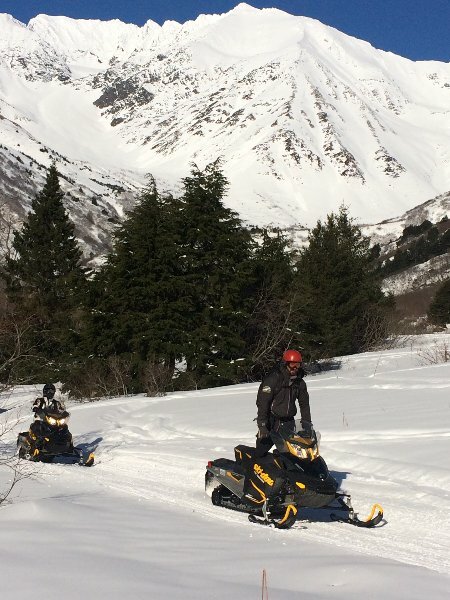 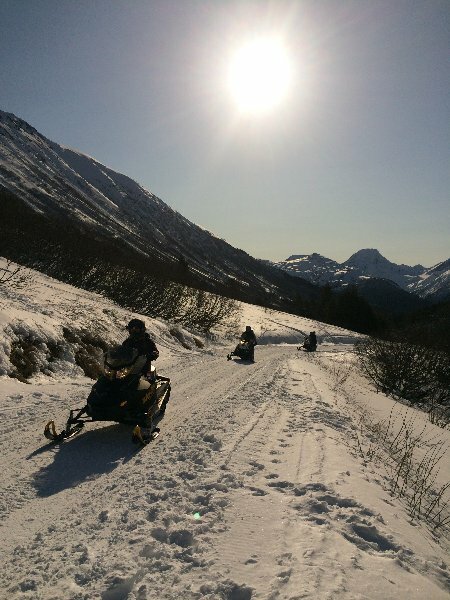 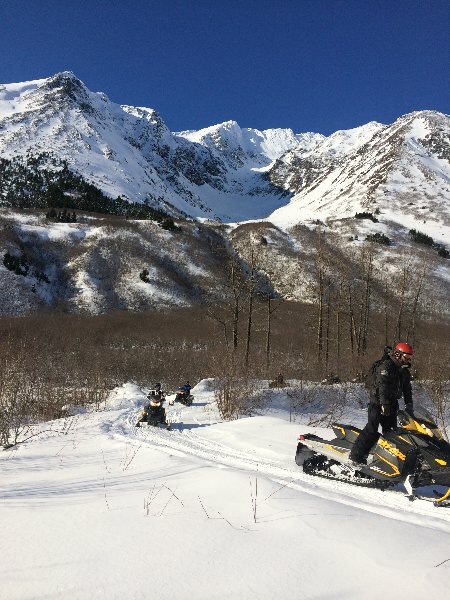 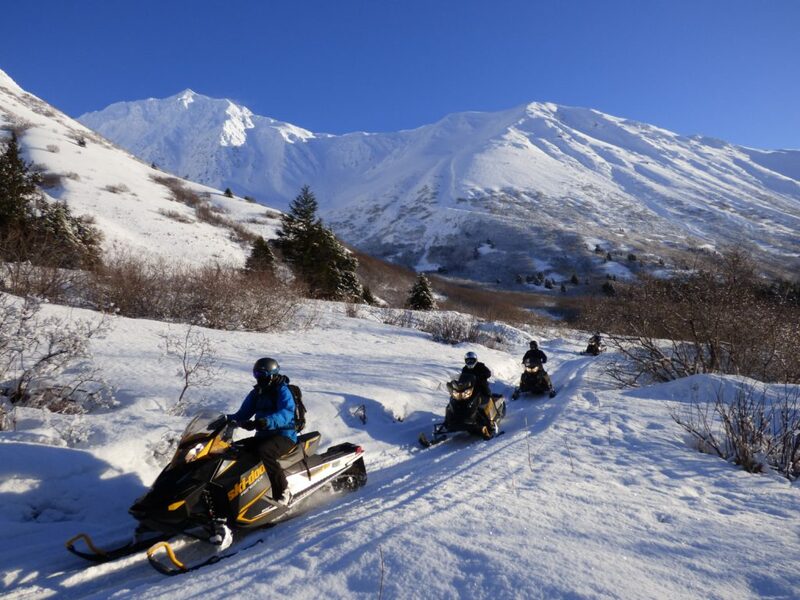 This tour offers exquisite views, as these beautiful groomed trails take place at a private gold mining operation where no other public riders are allowed. 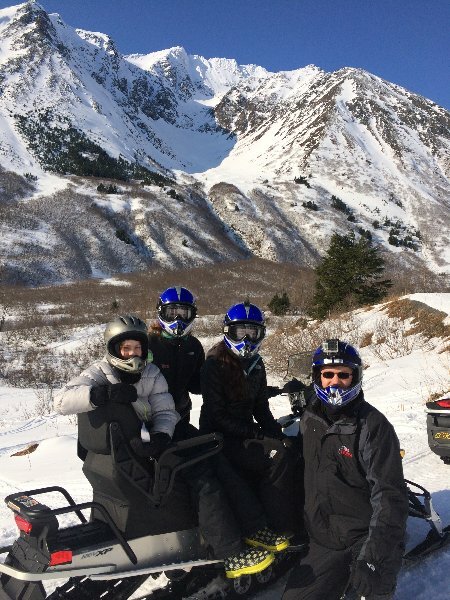 The scenery is breathtaking with 7000 ft. peaks all around you. 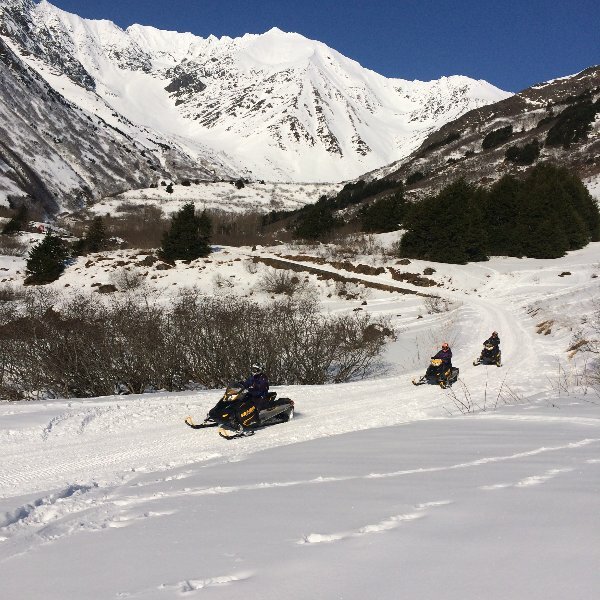 Beginners on up to experts will find these trails a lot of fun. 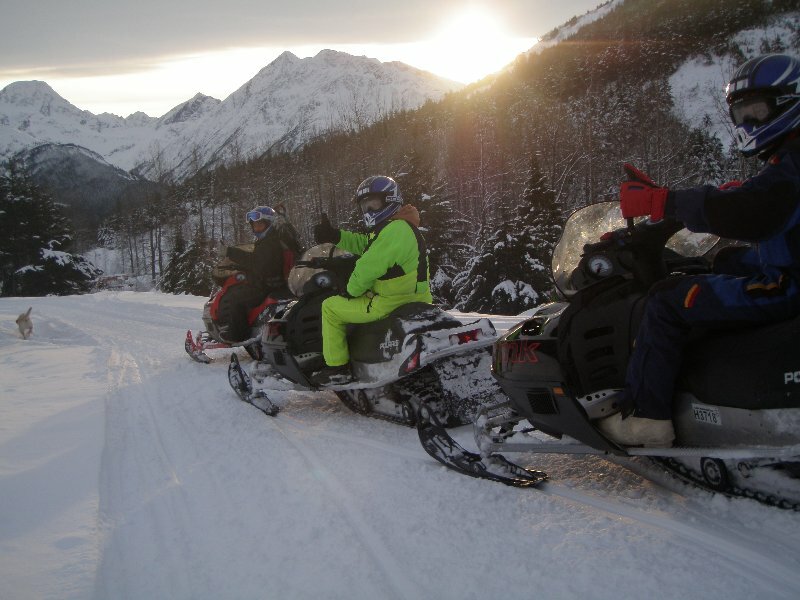 We offer this early season guided tour when conditions do not allow us to do the Real Deal Tour. 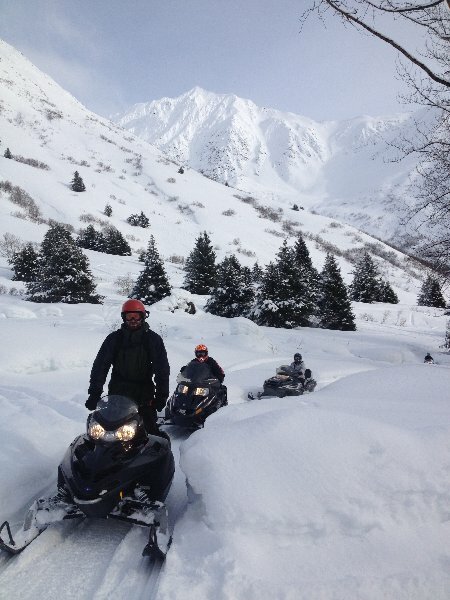 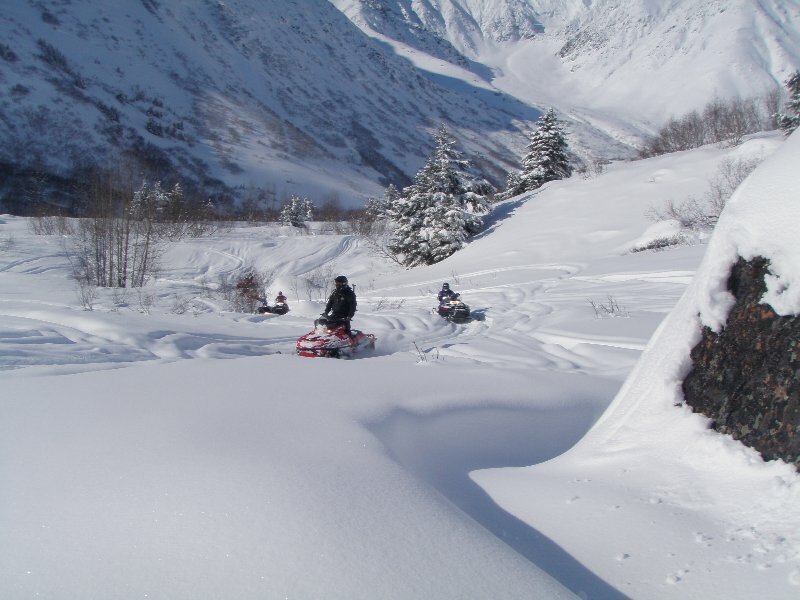 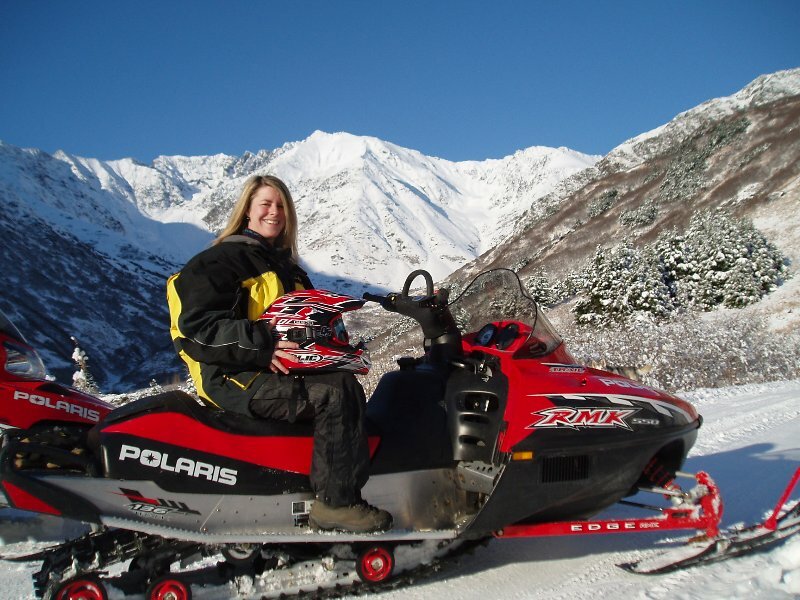 With you at the controls, snowmobile on beautifully groomed trails at a private gold mining operation. 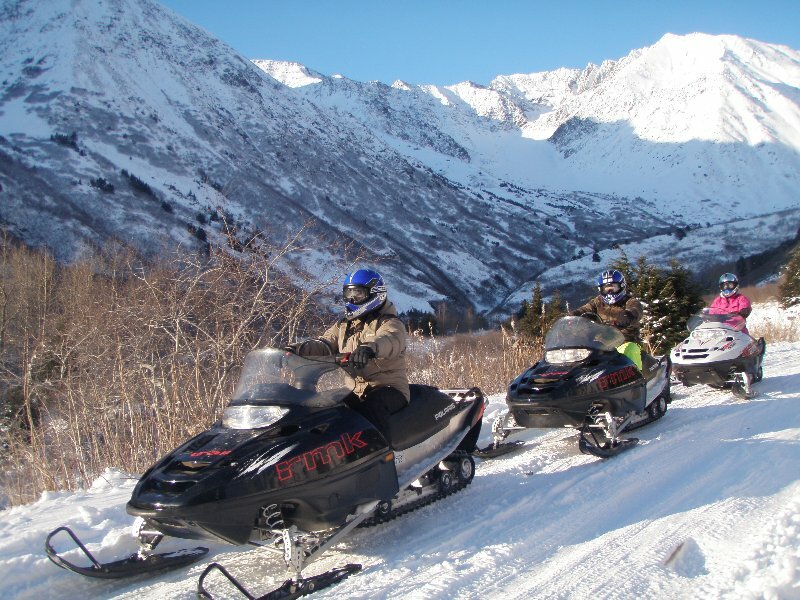 You will be surrounded by 7000 ft. Glaciated peaks in the Chugach Mountains. 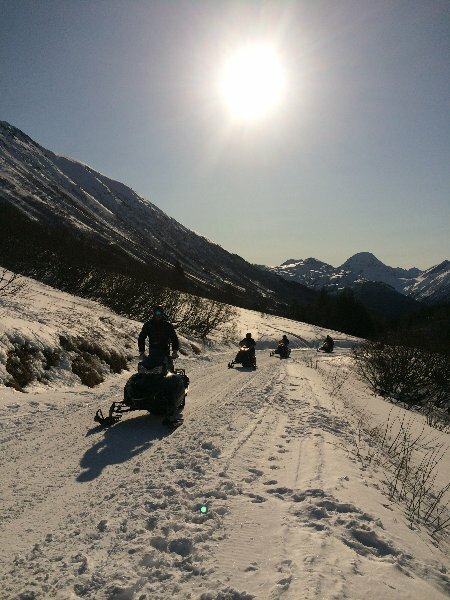 Many Hollywood film productions have been shot here because of the awesome Alaskan scenery. 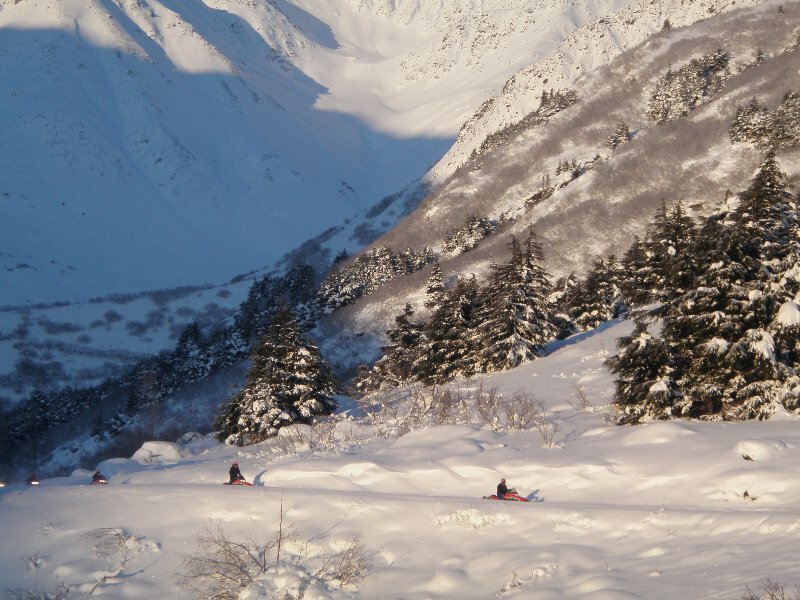 Your tour will stop at key places for incredible photo opportunities. 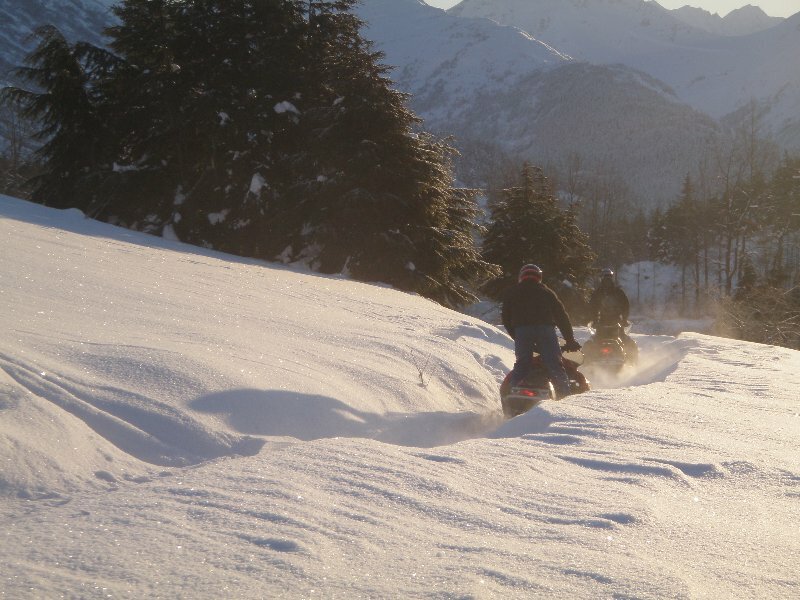 Beginners on up to experts will find these trails a lot of fun. 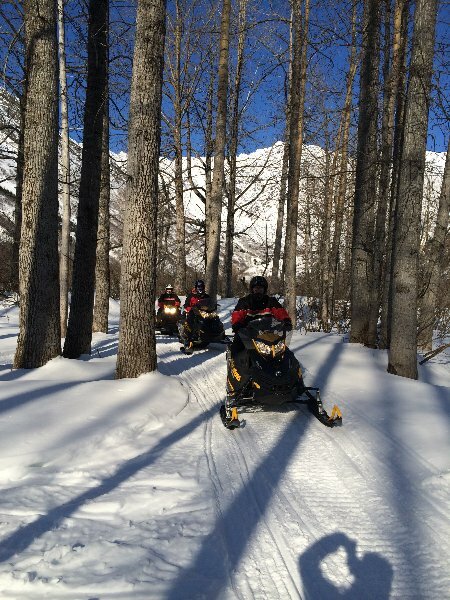 We keep our group sizes small and personalized with 5-6 people per guide. 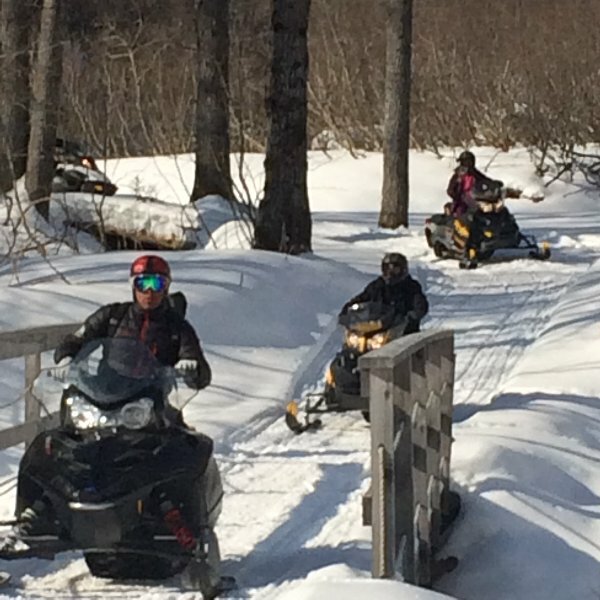 We can accommodate larger groups. 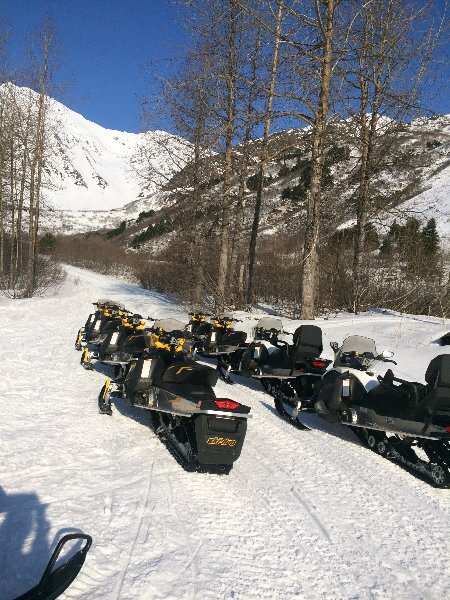 This tour includes a traditional campfire lunch with reindeer hot dogs snacks and hot beverages. 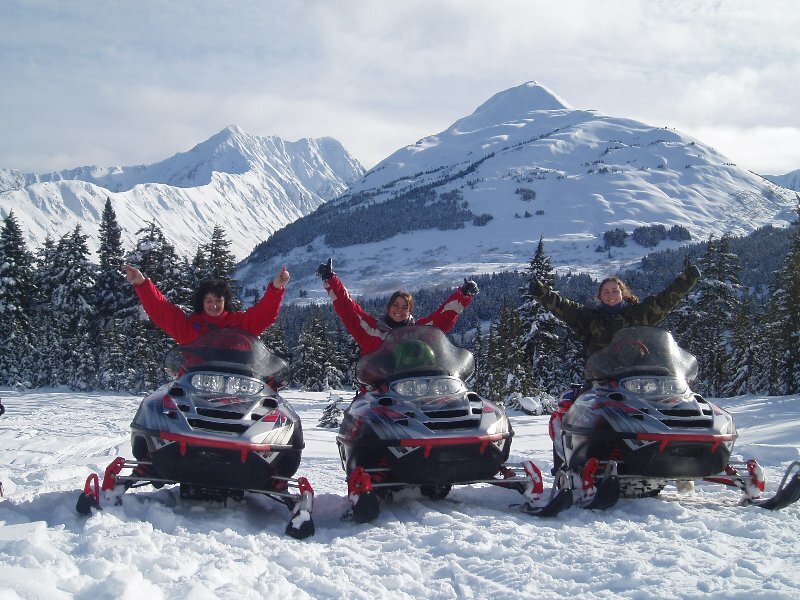 We offer this tour when the Real Deal Tour is not available, usually in November and April. 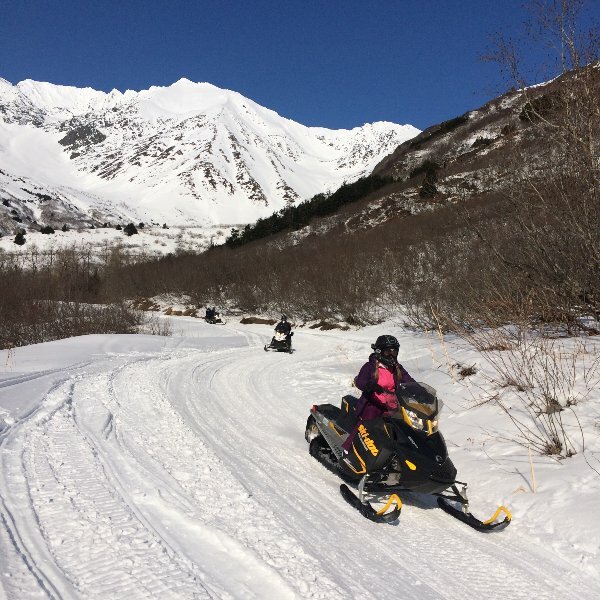 This tour includes an Indian Valley Meats’ Reindeer Sausage lunch around a traditional campfire at our new remote cabin. 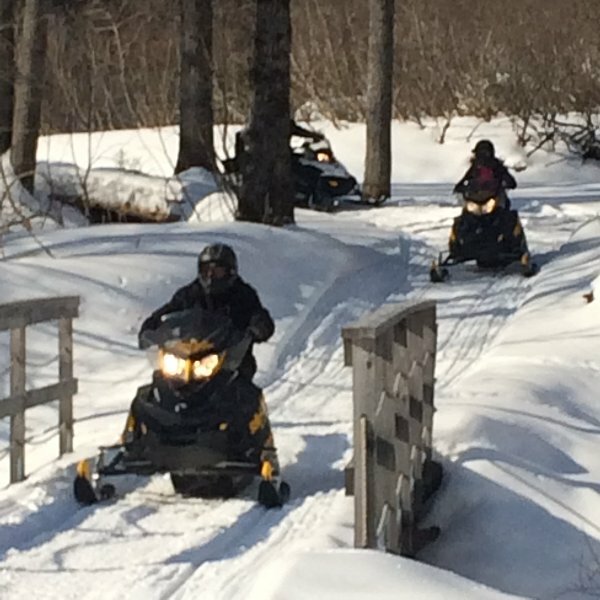 * Double riders are an extra $200 for adults and $125 for children 15 and under. 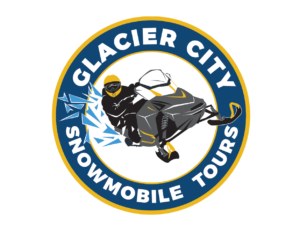 Feel free to call us at 1 (877)783-5566 to learn more about what our tours entail or if you would like to make a reservation for you and your group!